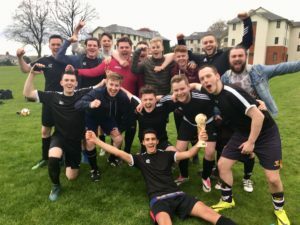 The stage was set for Level 3 to wrap up an undefeated reign and they did not disappoint themselves, safely clinching their third JMU Journalism World Cup title in a row with a 5-1 win against Level 1. 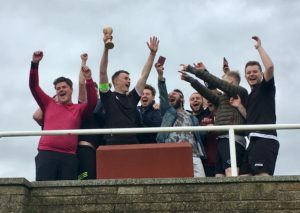 Strong favourites they may have been, but the overwhelming margin of victory did some disservice to their opponents, as the third years found life challenging against a battling team of first years in the 2018 final. 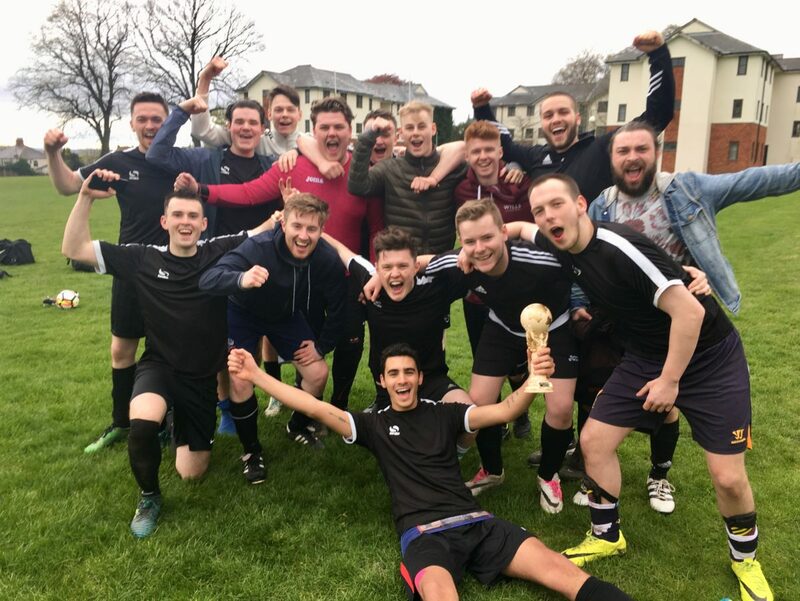 Owen McKendry’s freshers will doubtless emerge as a stronger and wiser side in future tournaments after this unforgiving baptism, but few would deny that Level 3 were worthy champions again. Two strikes by Sam O’Hara, an own goal, Ed Baldwin’s penalty and a fifth by Matt Skelly left Level 1 on the ropes, and they deserved much more than Toby Corkin’s spot-kick by way of a response. In fact, the underdogs could easily have gone ahead when Level 3 goalkeeper Danny Moxon was too casual at the back by gifting an early opening for John Broad, but he fired wide when presented with a fantastic opportunity. O’Hara, who also claimed a brace in the semis, then scored twice inside the first 17 minutes for Level 3 after he latched onto a wind-assisted ball to lift it over a stranded Sheldon McGovern for the opener. The Nantwich hitman was at it again when Moxon’s long clearance was picked up by Matt Ramirez, who teed up O’Hara to find the top corner as McGovern could not keep out his rising drive. Just as Level 1 were finding their feet with half-time approaching, they were unlucky to slip further behind when Jack Butler’s corner was flicked on by O’Hara and Matt Price turned into his own net to make it 3-0. Despite trailing, there was a tangible sense of optimism among the first years that playing with the wind at their backs could prove pivotal in the second half at IM Marsh. However, Level 1 were quickly deflated by a debatable penalty award on 48 minutes when a handball decision was given against Conner Charlton by referee, Jake Mullen, and Baldwin slid home from the spot for the fourth goal. O’Hara, who some say should have been credited with a first-half hat-trick, almost made it certain when his header rebounded back off the crossbar. Skelly came off the bench and missed two promising chances before eventually slotting in thanks to Evan Fyfe’s defence-splitting pass to bring up number five. Level 1 rallied as captain McKendry released substitute Corkin to break free, and although his effort passed harmlessly wide, referee Mullen gave another spot-kick, this time after ruling ‘keeper Moxon’s onrushing challenge was too dangerous. Crosby’s cool customer Corkin made no mistake with the penalty, driving it hard down the middle. While the result was somewhat flattering, Liam Keen’s Level 3 can be justly proud of their achievements, graduating with three successive titles, and a replica JMU Journalism World Cup trophy for keeps as a priceless memento of their triumphant and emotional journey.